The usual impression we have in our mind when we see a large group of bikers dominating the road is that these people are “Mat Rempits” and up to no good. Such is the perception of bikers has been formed in the ordinary Malaysian minds. I’ll admit that I myself am guilty for thinking the same about bikers. On the 24th September 2017, my impression on bikers changed for good and now I seem to have a huge amount of respect for them. It was a Sunday morning, and I was in Petaling Jaya to feast on some fantastic breakfast. 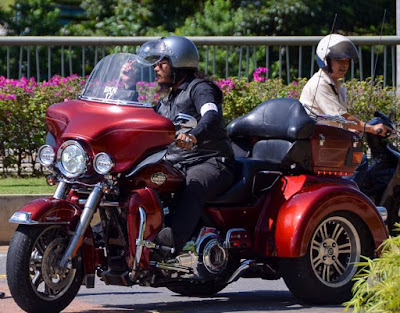 When I was around Petaling Jaya, I saw a large group of bikers and who caught my attention. Nope, not because they were riding in a large group, but the fact that these bikers were all suited up and riding. You read it right, suited up formally and riding together. I followed them a little bit and reached to their meet up point at the Triumph Fast Bikes PJ. The writer in me got curious as I wanted to find out what was happening here. So I parked my car and decided to randomly walk up to them and ask them what is happening there. 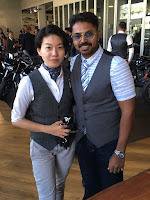 After introducing myself as a blogger and a little asking around, I managed to catch up with Stanley Clement, president of Gear7mc, who is one of the co-organizers for the event and this is what he had to say. “The Distinguished Gentleman’s Ride (DGR) is organized worldwide with the goal to increase awareness on prostate cancer among man. In Malaysia, Naked 13 is the group responsible for bringing the DGR here in 2012 and there has been a ride happening every year on the last Sunday morning of September since then.” Said Stanley. “Back in 2012 there was only like 20 riders who joined and this year we have got 420 bikers officially registered for the event. 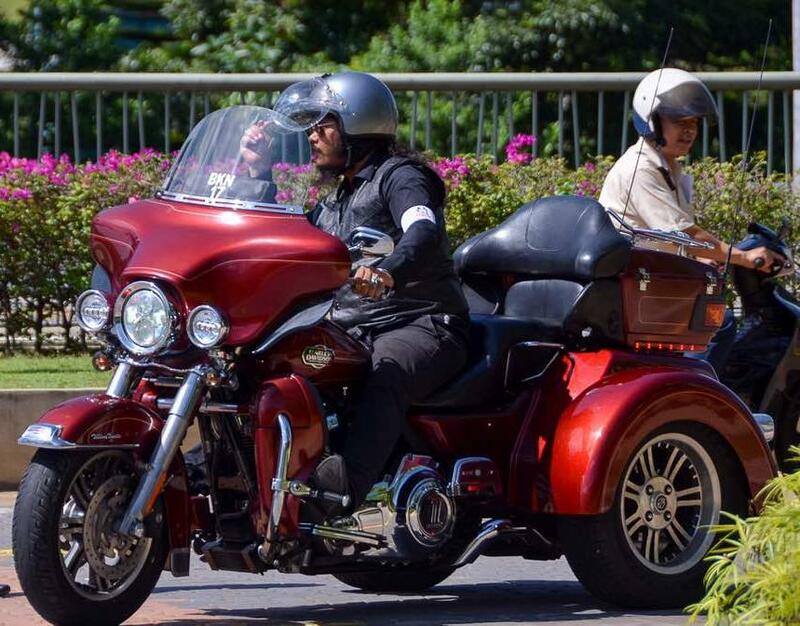 While the route changes every year, this time we are starting the ride from Triumph Fast Bikes Pj, heading to IOI Mall Puchong and then to IOI Mall Putrajaya, which gives us a nice riding distance.” Continued Stanley. “As long you are a biker and want to ride for awareness of men’s prostate cancer, you can join the DGR regardless if you are in a motorcycle club or not. Bikers are perceived as menace on the road, but actually if you look around, we are all professionals, well dressed and wanting to do some good by raising prostate cancer awareness. Hopefully this initiative also helps change the impression about bikers.” Said Stanley finally. I also had the opportunity to meet the founder of Naked 13, Mr. Akbar Shahari. He was one of the founders of the club back in 2012 and this is what he had to say. “In 2012, Azhar, one of the other founder of Naked 13 came across Mark Hawwa who is the creator of DGR. That was when we organized the first DGR in Malaysia which the route started in Kampung Pandan up to KL city, Menara Kl & Dataran Merdeka and we had less than 20 riders.” Said Azhar. “However in the following year, purely through word of mouth sharing, we had 300 riders. 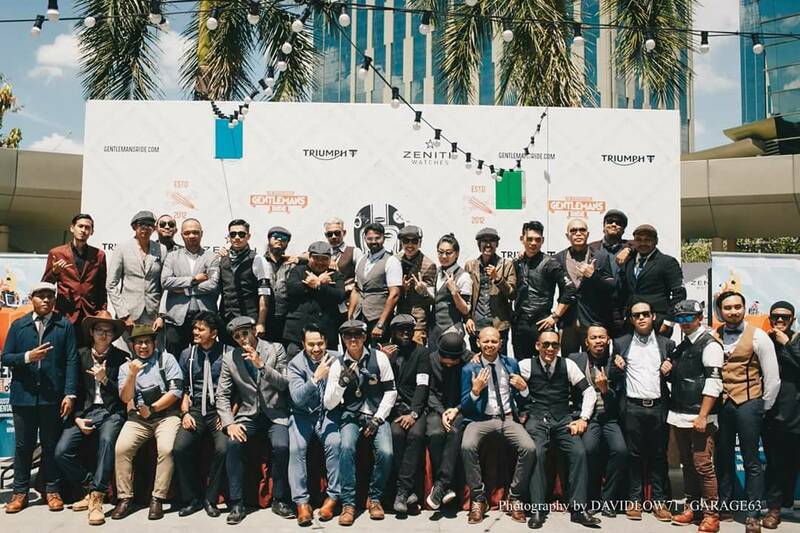 This year is the biggest DGR in KL yet as we collaborated with Gear7mc & Rascal and we are really proud of it. This is a very unique convoy because it is not normal to see bikers dressing up in a suit as if they are going for a meeting and more riders should join us in the future.” Said Azhar again. 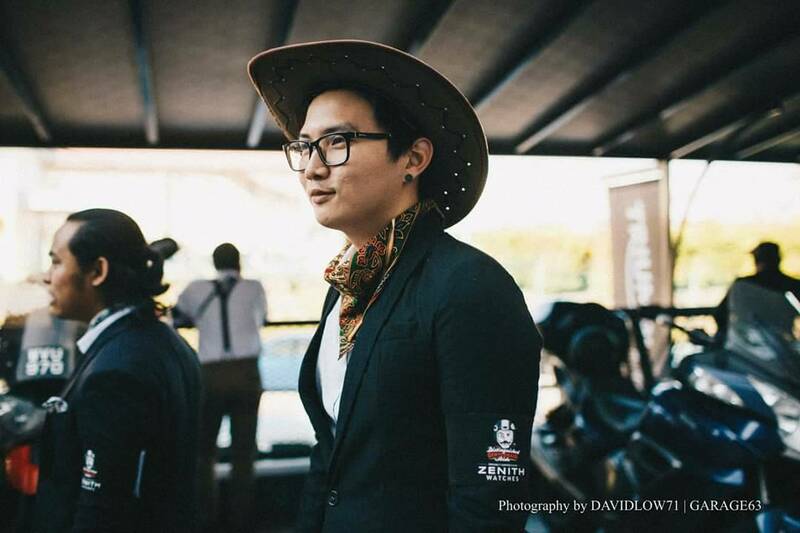 This year's DGR was being organised by Naked 13, and co organisezed by Gear7mc and Rascal Moto Club, and I manage to spoke to Tyler from Rascal Moto Club and this was what he had to add about DGR 2017. As I was just walking around Triumph Fast Bikes PJ, there was one bike which caught my attention. The main reason for it is because the bike has 3 tires. Now that’s not something you would come across every day. I managed to track down the owner and caught up with him a little bit. “I ride a Harley Davidson Trike. It is a rare bike here in Malaysia and the last I checked there is about 13-14 of us who has it here and I am one of the main person riding this on the road as most of it are belonging to collectors. So there is only about 4 of us riding it.” Said Tarquin Hashimi who is half Dutch half Malaysian. When I see bikers, the first thing that comes to mind is a group of guys. 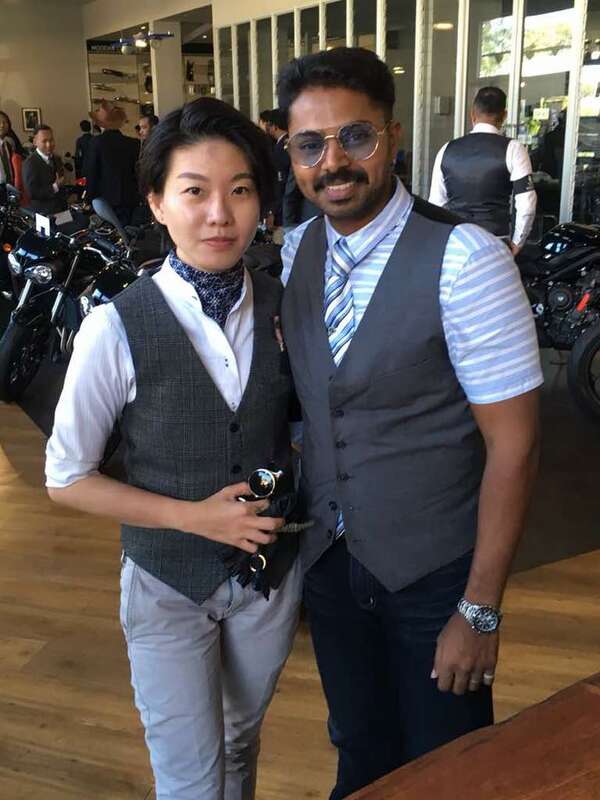 Well that isn’t really the case here at the DGR as there were a number of women bikers present too and I manage to speak to Teoh Xiao-e from Penang. I did not join them for the convey as I am no biker, but I am really grateful to stumble across them and find out what an amazing job these bikers are doing in terms of raising awareness towards men prostate cancer. 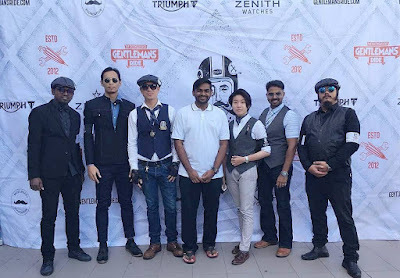 Big shoutout to Triump Fast Bikes PJ and Zenith Watches for sponsoring the event & IOI Group for providing the venue for the bikers to lay over. 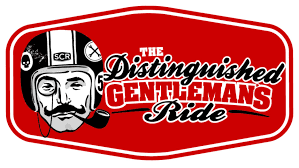 To find out more about the Distinguished Gentleman’s Ride, you can visit their website at https://www.gentlemansride.com/ or check out for Gear7mc at https://www.facebook.com/groups/gear7mc/ or Naked 13 and Rascal for more information.